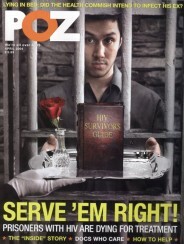 The HIV statistics coming out of Detroit and Michigan tell a story familiar to most POZ readers. Although overall new cases of HIV have dropped, one population group in particular is seeing an alarming uptick in transmissions: young gay and bisexual Black men. 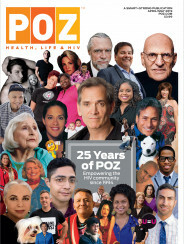 In an in-depth look at HIV in this key population, the Detroit Free Press lays out the specific challenges these men face in terms of HIV prevention and treatment and profiles people and organizations that are overcoming these challenges. But first, some numbers. Overall, HIV has stabilized in Michigan, with 16,218 people living with the virus as of the beginning of this year. Black men make up 40 percent of those cases, white men 30 percent, Black women 15 percent, Latino men 5 percent and white women 4 percent, according to the newspaper. Detroit, however, reports HIV rates four times higher than the state. New cases in Detroit spiked 30 percent among young gay and bi Black men ages 25 to 34 between 2011 and 2015. Despite improvements in HIV meds, a lot of people simply don’t have access to health care, especially, according to the state health department, young people, foreign-born people, Latino men and people who inject drugs. Another notable gap persists with regard to the HIV prevention pill Truvada as PrEP, or pre-exposure prophylaxis. “If you look at PrEP data, it hasn’t reached communities of color yet, and these racial disparities are disheartening and really a call to action for those of us in public health,” says Maureen Connolly, MD, who works at a clinic that serves homeless and runaway youth. And although the focus on Black gay and bisexual men is needed, the Detroit Free Press notes that women cannot be overlooked. In fact, 70 percent of women living with HIV in Michigan are Black.